The confusion of whether to agree or disagree with the fore mentioned statement will be easily solved with our Brother ST531HD review. 8 Where To Buy It From? 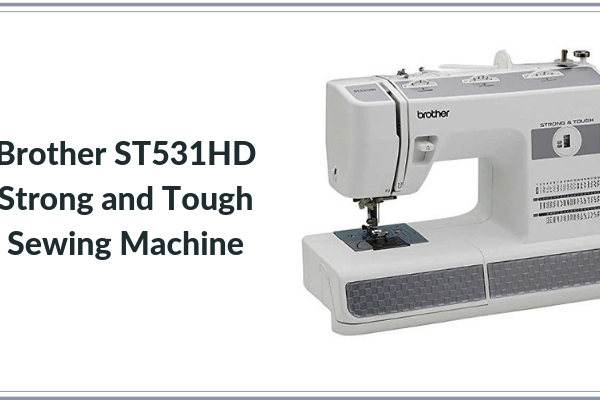 The Brother ST531HD Strong and Tough sewing machine is a machine specifically designed to perform strenuous tasks like stitching layers of denim. It’s a new release, therefore, is well-equipped with all the present-day required features. Most importantly, it is made durable enough to last for years. Brother Industries is well-known worldwide for its remarkable electrical products. Their headquarter lies in Nagoya, Japan. 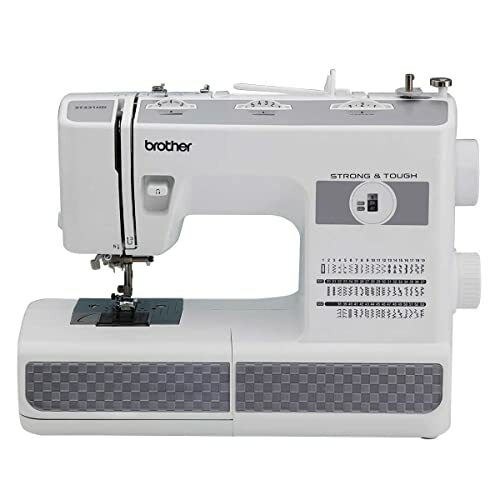 The Brother industries have a division (GmbH) that is solely concerned with the production of embroidery and sewing machines. The brand produces machines of all kinds, features, and uses. 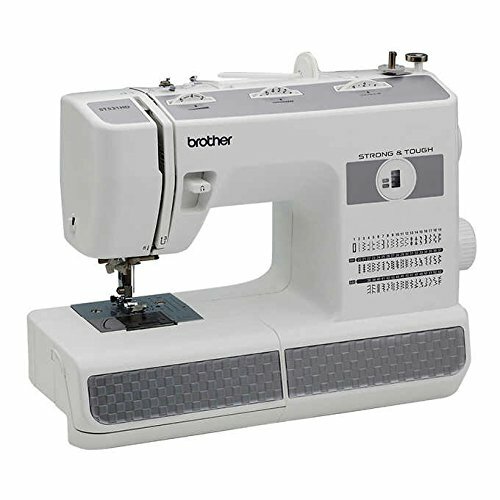 Due to this fact, it ranks among the first 5 bestselling brands for sewing machines and sergers. This product comes with a warranty of 25 years in total. This covers the electronic parts, exchange, other parts, and the labor too. The manual is available in PDF format online as well as in the boxing. It is given off in 2 different languages (English and Spanish). The good thing is, if the manual seems to be vague, there’s a DVD with the accessories which provides pictorial guidance of the techniques of usages and maintenance of the machine. 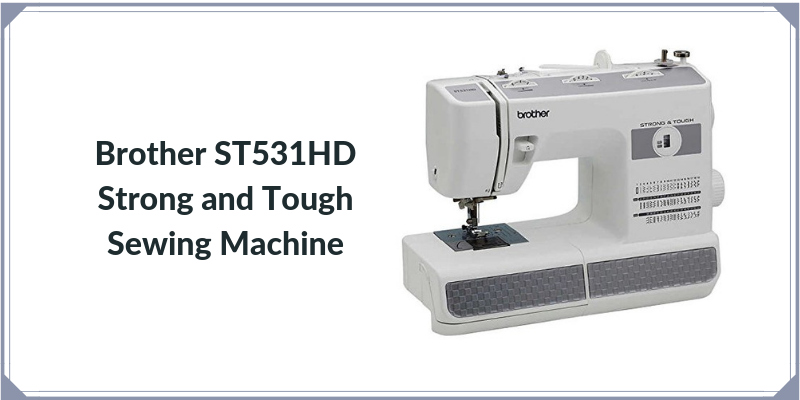 There are about 53 built-in stitches in the Brother ST531HD sewing machine. They include different types like zigzag, overcasting, decorative, and blind hem stitches. This enables the user to produce work of various designs and appearances. The finger guard is made up of metal. This protects the finger from getting hurt during the process. In addition, this system helps in avoiding the threat of needle breakage that could hurt the finger. Also, this feature is marvelous for beginners as most beginners are at a higher risk to get hurt during the process. The machine comes with a free arm. This functions to minimize the area and provide a good finish in items such as pants, sleeves, and cuffs. You might want to know this! The free arm can work as a storage area as well. You can store accessories be it any bobbin or needle in current use. Pull the lid open. This way you can access it easily. A durable framework encases the machine. This comes in handy when the machine is in use, and there are quite a few chances of jerks and unnecessary vibrations. Moreover, this feature can be disturbing when it comes to carrying the machine. Since it has a metal framework, it’ll be heavier than the other plastic coated machines. The machine lacks a few features like a cover case to protect it from lint and dust and a carrying case. However, it is still acceptable as it has a handle which does the job quite easily. Moreover, this handle is located on the middle-top portion of the machine. There is an option to buy a carrying case separately, but the dimensions of this machine don’t fit every normal case. The depth, in particular, is a little too large. To sew buttonholes and buttons is a difficult task. 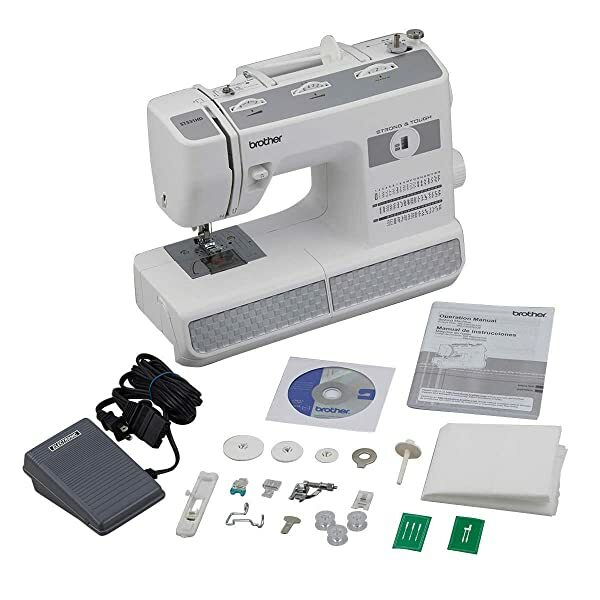 This is at ease with the use of the buttonhole foot, and the sewing button foot provided with the machine. Obviously, the same procedure, if carried out by hand takes a lot of time and effort. It the same thing is being done by the machine as a built-in feature, it automatically saves the effort and time, both. Despite the automatic procedure, the whole task isn’t a piece of cake, and you should practice it a few times before actually working on your project to avoid the hassle. To make a smooth and fine finish, it is important for the needle plate to be durable enough. 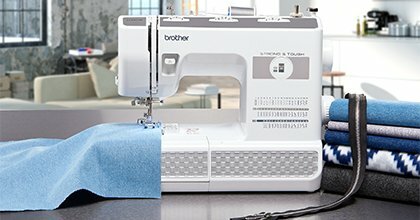 The needle plate in the Bother ST531HD is made of metal instead of plastic, which makes the process efficient. Other than this, to help you in sewing in a steady straight line, there are imprinted measurements. The needles provided with this machine are three packs of heavy gauge and twin needles with sizes 11, 14, and 16 respectively. 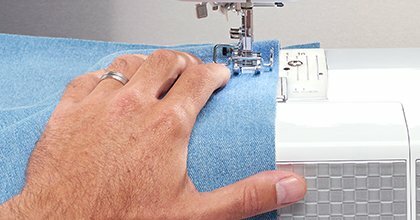 This is a promising feature when it comes to sewing layered thick fabrics like jeans. The sizes 14 and 11 can take care of the medium weight and lightweight slippery fabrics. There’s another feature of using twin needles in order to produce a faster and finer finish. This way, you can also use two shades of thread together or same shade in bulk. Additionally, this feature is ideal when it comes to creating decorative pieces both commercially and at home. This is a lever present on the machine which functions to sew backward. In that manner, the loopholes and the reinforcing seams can be put in by switching the sewing direction backward. Mostly, the modern day machines require this feature. It’s appreciated if the whole process is equally easy for people with bad eyesight or old ages. 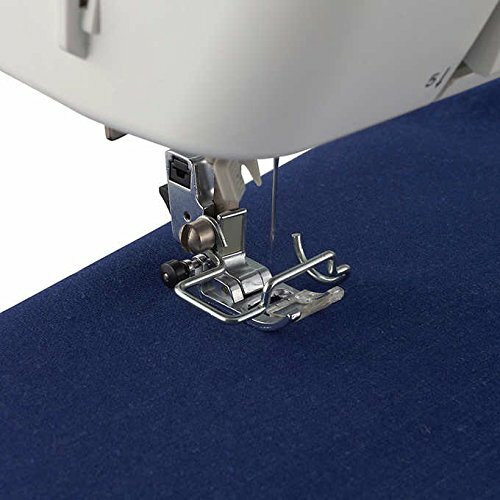 Automatic threading also ensures that there’s no chance of human errors or thread breakage when the machine is running. The faster the threading procedure is, the more time will be saved! The manual pays pad strong emphasis on not oiling machine by self. Manufactures oil the machine to make it run for a long time. If you still hear an unusual noise or have difficulties in operating the dial, then you should contact the service providers immediately. There could be problems in this as the dial present can hide the SS1 and SS2 switching. As a result, users refrain from buying this machine. To help in this regard, it is therefore advised to leave the needle in the ‘up’ position whenever you’re selecting a stitching pattern. This is done when the hand wheel is turned counterclockwise. Also, to switch to SS2, you’d simply have to come at SS1 first. Then by using the stitching length dial, turn a further left. 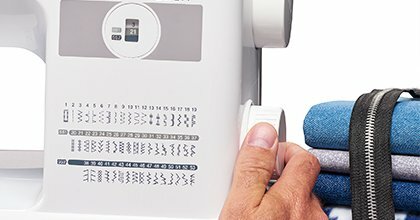 Lastly, with the help of pattern selecting dial, you can choose the pattern easily. Performs well with all sorts of fabrics and layering. It is worth the price due to its durability and heavy duty procedure. It lacks an automatic thread cutting machine. This will make you take help of a scissor or thread cutter placed on the left, a bit high from the presser feet. This is strenuous to do after every step. Doesn’t come with a wide working area or table that reduces the help in bigger projects. Pattern selection is hard and difficult to perform. 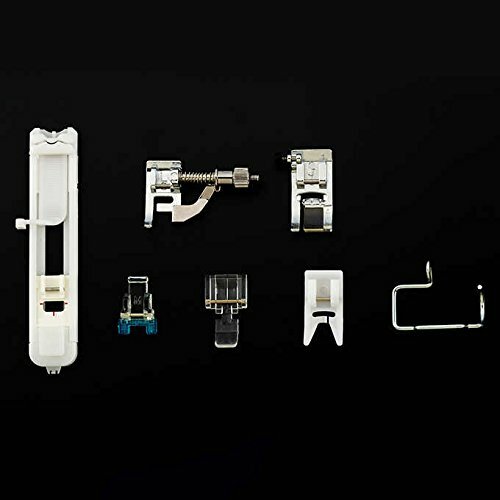 The whole process can damage the presser foot. This can be because of the load, the needle, or the fabric. Automatic threader is of plastic that requires frequent repairs. Now, if you’ve decided to buy this machine, you might be thinking of where to get it from? It isn’t quite easy to trust retailers and sellers if you’re planning to buy the machine online. There could be issues with accessories and the machine. Finding a trusted buyer might seem difficult. This review made it easier for you. No? The trusted seller of this machine is Amazon. Alternatively, you can also find the Brother ST531HD in trusted local stores as well. The Brother ST531HD is overall a very promising purchase. It is an ideal machine for both commercial and home use. The stitching technique, the layout, and the quality of the finish are remarkable. Made in 2017, this machine has kept up with most of the key features needed in a strong and tough machine. Use the alternatives to subside them.